Z. Hong Zhou is a Professor of Microbiology, Immunology and Molecular Genetics and the Director of the Electron Imaging Center for Nanomachines at University of California, Los Angeles (UCLA). He received his early education in physics at the University of Science and Technology of China before earning his PhD (in 1995) in biochemistry at the Baylor College of Medicine, in Houston, Texas, USA, under the supervision of cryo electron microscopy (cryoEM) pioneer Wah Chiu. 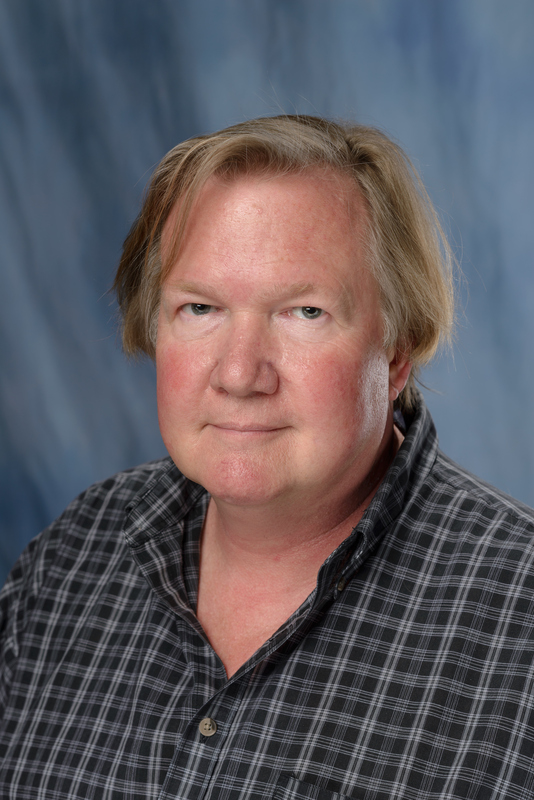 From 1995-1999, he carried out his postdoctoral training in computer science and applied mathematics under Prof. L. Ridgway Scott and developed high-performance image processing software for cryoEM reconstruction. Zhou has published ~200 research articles and book chapters, many in leading journals Nature, Science and Cell. He uses cryoEM to determine three-dimensional structures of molecular complexes near their native functional states at molecular to atomic resolutions. In 2008, his group was the first to demonstrate near atomic resolution cryoEM by single-particle analysis in a milestone Nature paper documenting the first atomic model of the cytoplasmic polyhedrosis virus. Broadly, his research addresses fundamental questions, such as how proteins and nucleic acids interact to store and release energy, to transduce signals, and to perform tasks of chemistry underlying reproduction. Zhou was a Pew Scholar in Biological Sciences and a Basil OConnor Scholar of the March of Dimes Foundation. 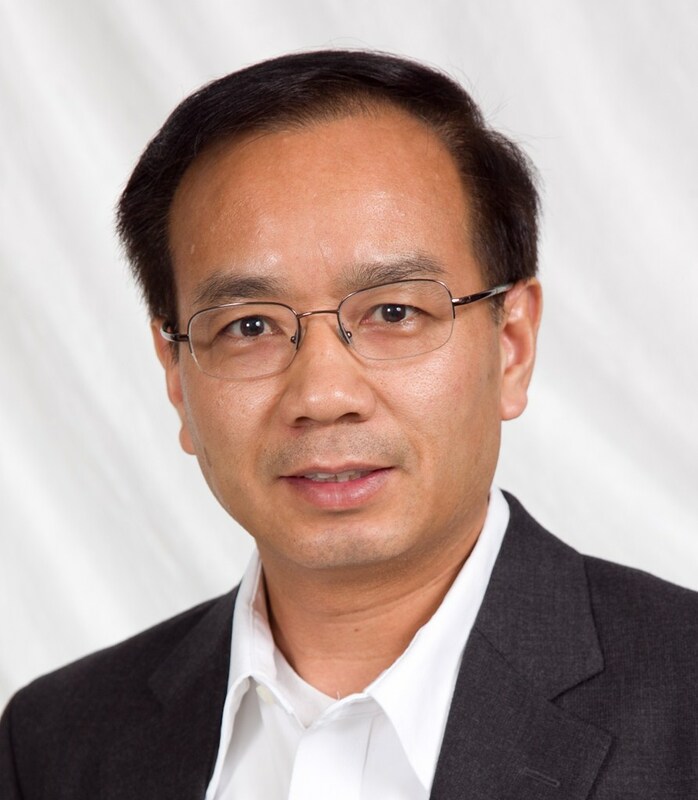 He is a recipient of a Burton Award and K. H. Kuo Distinguished Scientist Award. Recent advances in cryo electron microscopy (cryoEM) and computer processing have enabled us to obtain atomic models for the capsids and capsid-associated tegument complexes (CATC) of herpes simplex virus type 1 (HSV-1), human cytomegalovirus (HCMV) and Kaposi’s sarcoma-associated herpesvirus (KSHV), representative members of the α, β, γ-herpesvirus subfamilies of the Herpesviridae, respectively. For all these capsids, multiple levels of inter major capsid protein (MCP) interactions—six sets of stacked hairpins lining the hexon channel, disulfide bonds across channel and buttress domains in neighboring MCPs, and an interaction network forged by the N-lasso domain and secured by the dimerization domain—define a robust capsid that is amenable to the tremendous pressure exerted by the enclosed genome. The triplexes, each composed of two “embracing” Tri2 molecules and a “third-wheeling” Tri1 molecule, anchor to the capsid floor via Tri1 N-anchor to plug holes of the MCP network and rivet the capsid floor. Crowning every vertex of HSV capsid are five copies of hetero-pentameric CATC, each containing a camel-shaped pUL17 supporting the coiled-coil helix bundle of a pUL25 dimer and a pUL36 dimer, thus positioning their flexible head domains for axonic capsid transport. By contrast, HCMV, which has the largest genome, uses the β-herpesvirus specific tegument protein pp150 to form a helix bundle that secures the capsid through cysteine tetrad interaction with SCP, the smallest and least conserved capsid protein. Notwithstanding newly discovered fold conservation between triplex proteins and gpD of bacteriophage l and the previously recognized bacteriophage HK97-like fold in MCP, herpesvirus capsid proteins fashion extraordinary structural diversities in the forms of domain insertions and conformation polymorphism, not only for tegument interactions but also for DNA encapsulation. The significances of these molecular interactions are established by structure-guided mutagenesis and design of peptides mimicking and disrupting SCP-MCP interactions leading to inhibition of KSHV lytic replication. 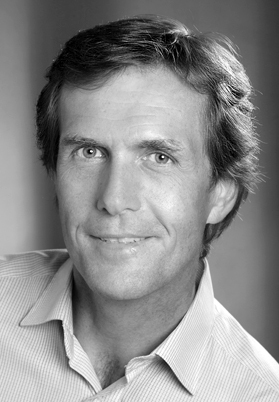 Roger Lippé is a full professor at the University of Montreal. Following his undergraduate studies in microbiology at that same university, he pursued a masters degree at the Cancer Research Group at McMaster University (Hamilton, Ontario). Under the supervision of Dr Frank Graham, he studied the replication of Adenoviruses. He then moved to the University of British Columbia (Vancouver, BC) to complete a PhD under the supervision of Dr Wilfred Jefferies studying how these same viruses evade the host immune response. These studies were at the frontier of cell biology, immunology and virology and centered on how these viruses prevent the surface expression of MHC class I and hence block antigen presentation. He subsequently went to the European Molecular Biology Laboratory (EMBL) in Heidelberg, Germany to further develop his cell biology skills. This work, in the laboratory of Dr Marino Zerial, examined the molecular players implicated in the endocytic pathway, particularly Rab5 modulators and effectors. 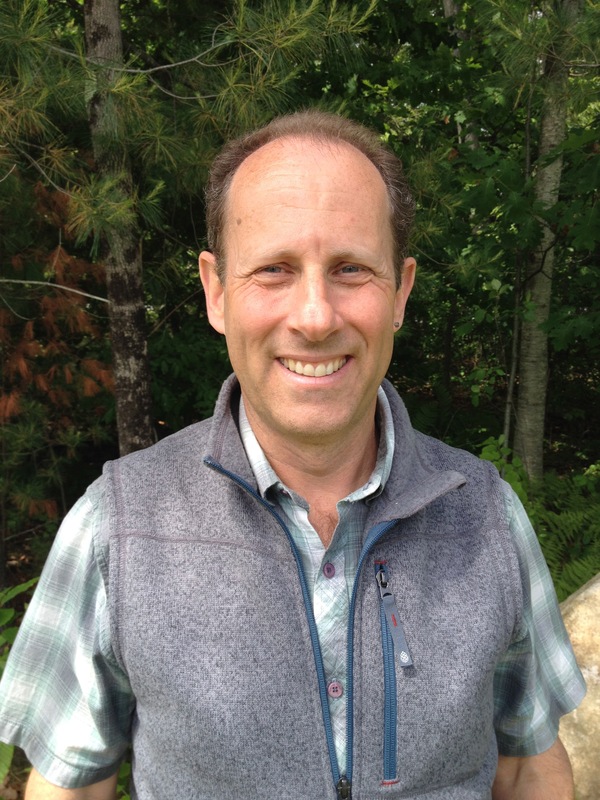 Taking advantage of this hybrid training, he established his own laboratory back in 2001 back at the University of Montreal where his lab probes the molecular requirement for HSV-1 egress using both classical, modern and innovative approaches with an emphasis on host-pathogen interactions. Herpesviruses share a unique maturation route that entails the assembly of new capsids in the nucleus and their egress across the two nuclear envelopes by first budding into the inner nuclear membrane and then fusing with the outer nuclear membrane. The resulting unenvelopped viral particles subsequently acquire their final envelope from an intracellular compartment. While debated for a long time, this commonly accepted model lacks many molecular details. Our lab has tried to elucidate this egress route, focusing on HSV-1, by characterizing the sequence of acquisition of the highly complex viral tegument layer, deciphering the complete protein content of viral intermediates, identifying the site of final envelopment and probing the machinery required to ultimately reach the cell surface. In the process, we also probed host-pathogen interactions and identified some cellular constituents that modulate this intracellular HSV-1 journey. It also yielded innovative approaches to analyze HSV-1 such as an in vitro reconstitution of nuclear egress and analysis & isolation of single viral particles by flow virometry. In this presentation, our past and present findings aimed at molecularly clarifying the HSV-1 nuclear egress route will be presented. Professor Manfred Marschall Cytomegalovirus Research Laboratory Institute for Clinical and Molecular Virology Friedrich-Alexander University of Erlangen-Nürnberg Germany Starting from training in Molecular Biology and Virology, M.M. performed long-term research projects on the topics of Epstein-Barr virus gene regulation, influenza virus persistent infection, cytomegalovirus-host interaction and the definition of novel antiviral targets and drug candidates. Associated with these studies were the virological institutions of the Universities of Munich, LMU and TUM, Regensburg and Erlangen-Nürnberg. During the last years, the main focus of investigations has been on the field "Protein kinases as regulators of herpesviral replication". Today, M.M.s group has a particular interest in the topics of (i) functionality of herpesviral protein kinases (e.g. HCMV-encoded pUL97), (ii) the cross-talk between herpesviral and cellular kinases in nuclear egress, the mutual interregulation with CDKs/cyclins as well as herpesvirus-induced signaling in pathogenesis, and (iii) the development of kinase inhibitors as a novel type of antiherpesviral drugs. The talk will give an overview of the research work of M.M.’s group and a number of other groups on the molecular mechanisms regulating HCMV nuclear egress. It will pick up current hotspots of regulation playing a role in the nuclear egress of HCMV and additional herpesviruses, i.e. the nature of the nuclear egress complex (NEC), 3D structural properties of the core NEC pUL50-pUL53, the nuclear import and rim recruitment of NEC proteins. Specific focus will be given to the site-specific lamin A/C phosphorylation through viral pUL97, the induction of lamina-depleted areas, the role of lamin cis-trans isomerization and a proteomics-based investigation of the multicomponent NEC. Additionally, the questions of conservation of NEC functions between herpesviruses, putative ways of NEC-capsid docking and the "swiss army knife" of NEC-host interaction will be addressed. A discussion of the potential of NEC-based strategies of antiviral drug design will also be included. In essence, the presentation will stress the importance of higher-order viral-cellular complexes, particularly the regulatory power of the multicomponent NEC. Judith Breuer is Professor of Virology at University College London, Director (Chief) of the Division of Infection and Immunity and Consultant Clinical Virologist at Great Ormond Street Hospital for Children. Her research interests in molecular epidemiology and pathogen genomics have led to insights into the evolution, transmission and pathogenesis of varicella zoster virus and its live attenuated vOka strain vaccine. Professor Breuer has pioneered novel approaches to sequencing pathogen genomes directly from clinical material. She has used mathematical modelling of vOka vaccine genomes in comparison with viral genomes recovered from vaccine rashes to gain insights into VZV natural history in its cognate host. Most recently she led the discovery of the VZV latency associated transcript (VLT) which is expressed in latently infected neurons, also showing that co-infecting latent HSV-1 expresses only LATs and associated transcripts. Professor Breuer has applied genomic approaches to better understand the evolution of CMV, EBV and HSV-1 Her group have found CMV and HSV-1 to be freely recombining, with only hotspots of linkage disequilibrium (LD) while VZV and EBV, although highly recombinant, show evidence of both local and apparently long-range LD. To understand better viral pathogenesis in humans her group has developed novel tools with which to understand the influences on within host CMV and EBV evolution in relation to disease outcomes. In her clinical practice Professor Breuer has established routine diagnostic metagenomics for pathogen detection. 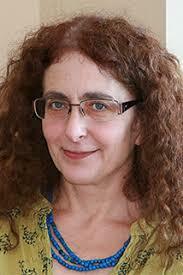 She chairs the UK committees advising on Human Papillomavirus and Varicella zoster vaccines. Using whole genome sequencing we find that Human Cytomegalovirus (HCMV) and Herpes simplex virus (HSV) to be freely recombining with only local areas of linkage disequilibrium while Epstein Barr virus (EBV)and Varicella zoster virus (VZV) show apparent local and long-range co-inheritance patterns. These differences provide insights into the different factors shaping human herpesvirus evolutionary history. We have also used genomic approaches to model the natural history in its human host, of VZV, a human-restricted alphaherpesvirus. We demonstrated that all strains within the live attenuated vOka vaccine can establish latency and reactivate from human ganglia and that latency occurs as little as 2 days post inoculation. Our data predict mathematically that no viral replication occurs during latency. Using targeted RNAseq enrichment for VZV and HSV-1, we have discovered that VZV latent in trigeminal ganglia expresses a unique antisense VZV associated transcript the function of which may be to downregulate VZV transcriptional activation. HSV-1 latent in the same ganglia expresses only the LATs and associated microRNAs. Using mutation rates calculated from sequentially collected samples, we estimate that current VZV clade divergence occurred between 20,000 and 50,000 years ago, later than the human migrations from Africa. 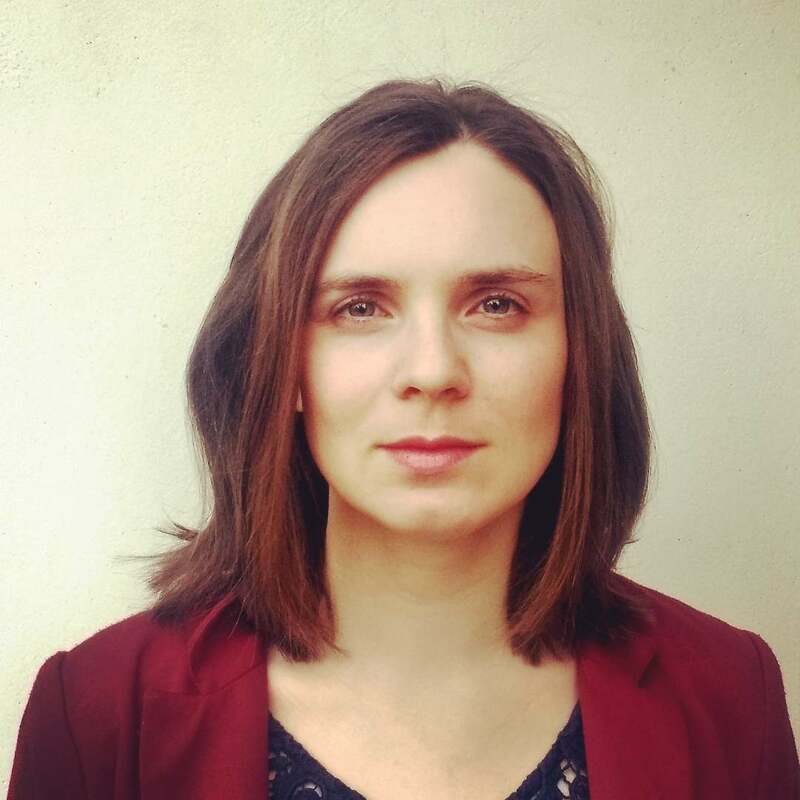 Dr Charlotte Houldcroft is a virologist working in the Department of Medicine at the University of Cambridge, in the lab of Mark Wills. Charlotte completed her PhD on the human genetics of EBV latency with Paul Kellam at the Wellcome Trust Sanger Institute. Her current work is in two areas: DNA virus genomics for clinical applications. First at Great Ormond Street Hospital for Children, and now in her current position in Cambridge, Charlotte explores the role of virus diversity in driving drug resistance and the adaptive immune response. She has applied this to treatment-resistant cytomegalovirus and EBV, and nosocomial adenovirus infections. In 2014 she won an A*STAR Science@50 award for her ideas about the future of infectious disease diagnostics in Singapore. Ancient infectious diseases. Charlotte investigates how herpesviruses were transmitted between our ancient ancestors using modern genomic data and statistical modelling. She has received international press and radio attention for her work on Neanderthal infectious diseases, and for modelling the spread of HSV2 from chimpanzees to ancient hominins. This work was performed in collaboration with Dr Krishna Kumar (Cambridge) & Dr Simon Underdown (Oxford Brookes). Herpes simplex virus 2 (HSV2) is a human herpesvirus found worldwide that causes genital lesions and more rarely causes encephalitis. This pathogen is most common in Africa, and particularly in central and east Africa, an area of particular significance for the evolution of modern humans. Unlike HSV1, HSV2 has not simply co-speciated with humans from their last common ancestor with primates. HSV2 jumped the species barrier between 1.4 and 3 MYA, most likely through intermediate but unknown hominin species. I will present data from a probability-based network analysis, used to determine the most probable transmission path between intermediate hosts of HSV2 from the ancestors of chimpanzees to the ancestors of modern humans, using paleo-environmental data on the distribution of African tropical rainforest over the last 3 million years and data on the age and distribution of fossil species of hominin present in Africa between 1.4 and 3 MYA. This model identifies Paranthropus boisei as the most likely intermediate host of HSV2, while Homo habilis may also have played a role in the initial transmission of HSV2 from the ancestors of chimpanzees to P. boisei. Nicola Royle developed her research interests in telomere molecular genetics as an HGMP-MRC Senior Fellow, working alongside Professor Sir Alec Jeffreys in the Department of Genetics at the University of Leicester. Currently she is an Associate Professor in the Department and her research is focussed on characterising molecular processes that affect the stability of telomeres in human and other vertebrates and this includes understanding the dynamic relationship with herpesviruses that integrated into telomeres. Telomeres and Human Herpesvirus 6: the consequences of integration and excision. Human herpesvirus 6A (HHV-6A) and HHV-6B have long double-stranded DNA genomes (~160kb) with terminal direct repeats (DRs). The DRs include arrays of (TTAGGG)n, which is also the vertebrate telomere sequence. Therefore HHV-6A and HHV-6B, alongside other herpesviruses that infect a wide variety of other vertebrates, have the capacity to integrated into telomeres, the essential capping structures of chromosomes. Infections caused by HHV-6 (particularly HHV-6B) are common in early childhood and in most people the viral genome persists in a latent state lifelong, Occasional ‘opportunistic’ reactivation can be associated with severe consequences in immune-compromised patients. It has been proposed that telomeric integration is a form of HHV-6 latency but telomeres are dynamic structures that play important roles in human ageing and cancer. Surprising about 1% of people worldwide are carriers of an inherited telomere-integrated copy of HHV-6, known as chromosomally integrated HHV-6 (ciHHV-6). Recently, we have used sequence analysis to show that many ciHHV-6 carriers appear to have inherited the viral genome from a small number of ancient common ancestors. Nevertheless most of the sequenced ciHHV-6 genomes are intact and therefore appear capable of reactivation. If telomeric integration is an effect form of latency for HHV-6 there must be an efficient mechanism for release or excision of the viral genome from the telomere. We have proposed that the excision mechanism is dependent on the normal processing of telomere-loop structures (t-loops) that are involved in telomere capping. We have developed methods to measure the partial or complete excision of ciHHV-6 genomes from telomeres and we are using these to characterise the dynamic relationship between integrated HHV-6 and the telomere. David Leib grew up in London, England, within shouting distance of Wembley Stadium. He attended Birmingham University in 1979 for a BSc in microbiology, and then went Liverpool University for his PhD working on non-human primate herpesviruses with Kevin McCarthy and Tony Hart, graduating in 1986, the year he attended his first IHW in Leeds. He then spent 3 years as a postdoctoral fellow in Priscilla Schaffer's lab at Harvard, working on the pathogenesis of herpes simplex virus (HSV) and the roles of ICP0 and LAT in latency and reactivation. He then took a faculty position at Washington University in St. Louis in 1990 joining the Departments of Ophthalmology and Visual Sciences and Molecular Microbiology. In St. Louis his lab continued to study HSV pathogenesis, focusing on innate immunity and HSV countermeasures. The lab also worked on the interplay of the autophagy pathway and gamma34.5 in the control of HSV neurovirulence. The lab also developed new ways to image HSV infection and spread using real-time bioluminescence imaging. 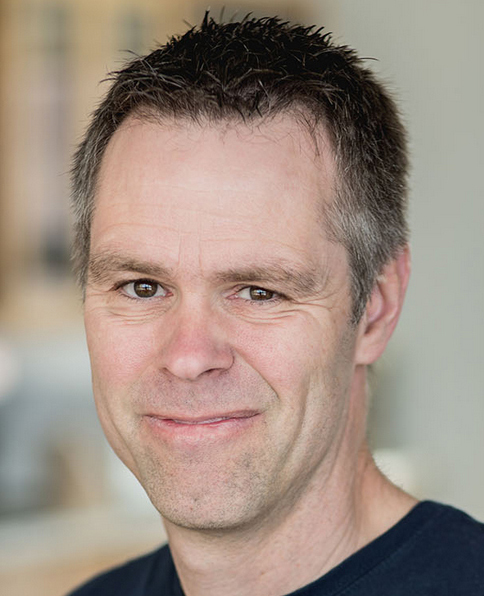 In 2009 David moved his lab to Dartmouth College in New Hampshire where he is currently a Professor in the Department of Microbiology and Immunology. The current lab interests include discovery and elucidation of new roles for gamma34.5 in control of mitochondrial function, the ESCRT pathway in HSV infection, and the role of antibodies in protection of the neonatal nervous system from HSV infection. Maternal antibodies play a major role in protection of the fetus and neonate from infection. In addition to Zika, other vertically transmitted TORCH infections, (toxoplasma, other, rubella, cytomegalovirus, and herpes simplex virus), lead to severe neurological sequelae with considerable morbidity and mortality in this setting. In a mouse model of neonatal herpes simplex virus (HSV) infection, we have demonstrated the ability of passively transferred polyclonal maternal antibody to localize to the nervous system and to protect from neonatal disease and death. Translating these observations to humans, we have also established that HSV-specific antibody can be detected in fetal trigeminal ganglia. Using a live-attenuated vaccine or through passive administration of a monoclonal antibody to female mice, we have shown that their offspring are completely resistant to HSV challenge immediately postpartum. Once these challenged neonates become adults they do not display the neurological sequelae of neonatal HSV infection as measured by behavioral studies. Collectively, these results point to a previously unappreciated role of passively-acquired polyclonal antibodies in protecting fetal and newborn nervous systems -- typically considered immune privileged -- against neurotropic infections. They also suggest a prophylactic approach whereby vaccination, or passive administration of monoclonal antibodies to HSV-seronegative mothers before parturition could prevent or mitigate the sequelae of neonatal HSV infection. The severity of vertically acquired neurological infections, in the context of a well-defined period of temporal risk, makes this a particularly appealing approach. Dr. Lagunoff received his Ph.D. in Virology from the University of Chicago where he worked on herpes simplex virus latency in the laboratory of Dr. Bernard Roizman. He performed his post-doctoral fellowship at the University of California, San Francisco in the laboratory of Dr. Don Ganem where he began his work on KSHV. He subsequently established his independent lab in Seattle at the University of Washington in the department of Microbiology. He is currently a professor of Microbiology and of Immunology at the University of Washington. His lab continues to focus on KSHV and how latent infection alters endothelial cells to induce KS tumor formation. Efforts to therapeutically target herpesvirus latency have been largely unsuccessful due to the limited viral gene expression. Our approach has been to identify and target pathologic changes to the host cell during latent infection. We found that during latent infection of human endothelial cells, KSHV dramatically alters the metabolism of the cell, including inducing glycolysis, glutaminolysis and fatty acid synthesis. Inhibition of these metabolic pathways during KSHV latency leads to increased cell death in the infected cells but not their uninfected counterparts. We recently broadened our approach to identify global requirements for the survival of latently infected cells and have identified a number of targets that in theory could be used to eliminate latently infected cells. Vera grew up in Minsk, Belarus and moved to U.S. for undergraduate education. During her training as a Medical Technologist, she fell in love with bugs and decided to enter graduate school to play with viruses. Following completion of her graduate training at the Saint Louis University, where she worked with human adenoviruses in William Wold's group, Vera transitioned to the postdoctoral training with Skip Virgin at the Washington University in St. Louis. 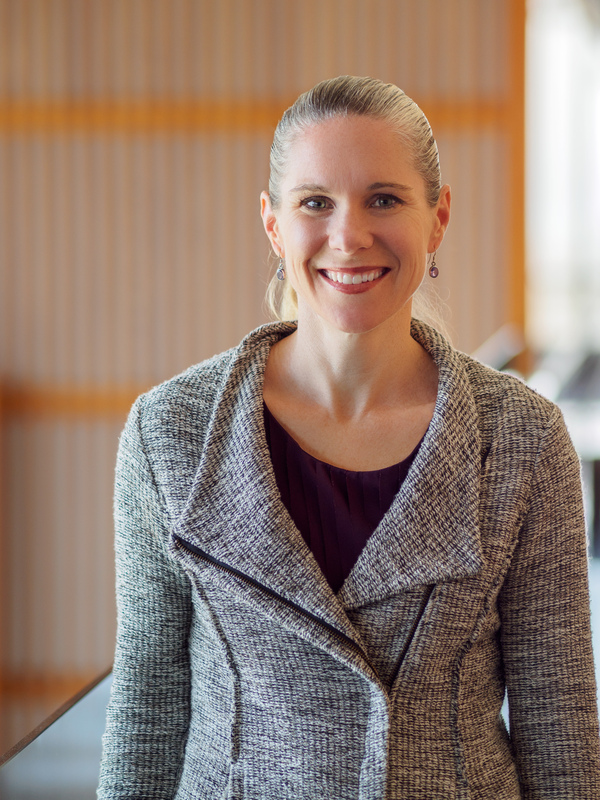 She started her independent career in 2008 and is now an Associate Professor in the Department of Microbiology and Immunology at the Medical College of Wisconsin in Milwaukee. Gammaherpesvirus versus host: chewing through cholesterol and lipid synthesis. Metabolic pathways of the host have emerged as important regulators of immune responses and virus replication. This talk will highlight in vitro and in vivo studies that focus on the role of lipid synthesis pathways in the tug of war between gammaherpesvirus and the host. Ben Gewurz is an Assistant Professor in the Division of Infectious Disease, Brigham & Womens Hospital and an Associate Member of the Harvard Medical School Department of Microbiology. He is the Associate Chair of the Harvard Graduate Program in Virology and an Associate member of the Broad Institute. Ben received a BS from Stanford University, and MD/PhD degrees from Harvard Medical School. His thesis work with Hidde Ploegh and Don Wiley was supported by an HHMI predoctoral fellowship, where he studied human cytomegalovirus evasion of the MHC class I antigen presentation pathway and solved the crystal structure of the US2/HLA-A2 complex. Ben then completed a post-doctoral training with Elliott Kieff as a Leukemia & Lymphoma Society Fellow, using systematic approaches to study Epstein-Barr virus LMP1-mediated NFkB target gene regulation. His lab uses systematic CRISPR genetic and mass spectrometry-based proteomic approaches to study EBV pathogenesis. His current research focuses on how EBV reprograms key human B-cell growth, survival and immune-evasion pathways to enable persistent host infection, and how these can ultimately be targeted to treat EBV-associated diseases. Dr. Gewurz received a Burroughs-Wellcome Career Award in Medical Sciences. Epstein-Barr virus (EBV) transforms primary B-cells into continuously proliferating lymphoblastoid cell lines (LCL). Knowledge of how EBV latency oncoproteins remodel host metabolic pathways to support rapid B-cell outgrowth and to overcome redox stress remains incomplete. To gain insights into EBV-induced metabolic dependency factors, we constructed a proteomic map of EBV B-cell transformation. Primary B-cells from 12 human donors were profiled by tandem-mass-tag mass spectrometry at rest and at 9 timepoints after infection. This approach generated expression profiles of >6500 host and 17 viral proteins and highlighted EBV-induced pathways. Glycolysis, cholesterol and fatty acid biosynthesis pathways were highly upregulated cytosolic metabolic pathways, each if of which were found to be critical for EBV-driven B-cell outgrowth. Mitochondria were also highly remodeled following EBV infection, with the one-carbon (1C) metabolism pathway among the most highly EBV-induced. Mitochondrial 1C uses folate carriers to interconvert serine into glycine, formate and NADPH building blocks. EBNA2 and cMyc were critical for upregulation of key mitochondrial 1C enzymes including MTHFD2, which is highly expressed during embryogenesis but not in most adult tissues. Chemical and CRISPR genetic analysis underscored MTHFD2 and 1C pathway roles in EBV-driven B-cell growth and survival. MTHFD2 was important for intramitochondrial NADPH generation, and compartment-specific perturbation of mitochondrial NADPH levels diminished LCL growth and survival. Isotope tracing studies further supported EBV-induced 1C pathway roles in purine nucleotide synthesis and NADPH production. To fuel 1C metabolism, EBV upregulated serine import and de novo synthesis, each of which were found to be important dependency factors for B-cell outgrowth. 1C-derived glycine also supported glutathione synthesis, which together with NADPH exerted key redox defense roles. These results highlight mitochondrial 1C as a key EBV-induced metabolic dependency factor and potential therapeutic target. Dr. Ravi Mahalingam is a Professor of Neurology at the University of Colorado School Of Medicine. He also serves as a visiting professor at the Sri Ramachandra Medical College & Research Institute, Chennai, India. Ravi did his Masters in Chemistry at the Indian Institute of Technology in Mumbai, India in 1976 and completed his PhD in Biochemistry and Molecular Biology in 1980 in Southern Illinois University, Carbondale, Illinois, USA. He did his first post-doctoral fellowship in Denver, Colorado with Prof. Donald Cummings in Microbiology and in 1986 joined Don Gilden as a postdoctoral fellow and rose to the rank of full professor in the Department of Neurology in 2005. 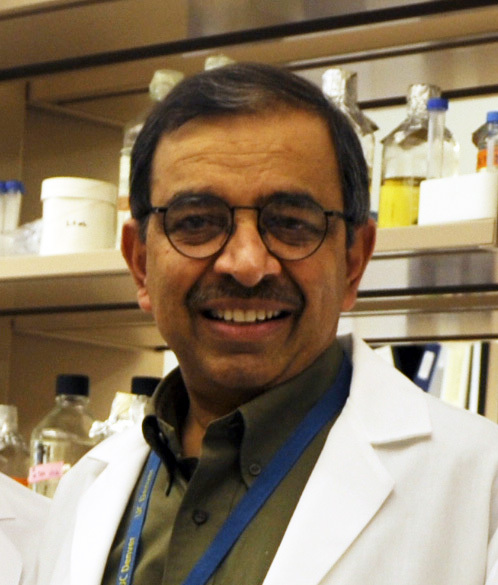 Ravi was the first to use PCR to identify latent varicella zoster virus (VZV) DNA in human ganglia and later show the expression of VZV ORF63 protein. He developed the unique animal model of primary VZV infection, latency and reactivation using simian varicella virus (SVV) infection in non-human primates. In collaboration with Prof. Wayne Gray, Ravi sequenced the complete SVV genome in 2001. His laboratory currently focusses on the multi-organ disease produced by varicella virus reactivation. Varicella zoster virus (VZV), an exclusively human herpesvirus, causes chickenpox in children establishes latent infection in ganglia and reactivates decades later to produce zoster and associated neurological complications. Development of an animal model is essential to study VZV pathogenesis, latency and reactivation. Clinical, pathological, virological and immunological features of simian varicella virus (SVV) infection in nonhuman primates are similar to VZV infection in humans. Experimental infection of African green monkeys (AGM) with SVV has been used to demonstrate hematogenous spread of virus to ganglia in the absence of varicella rash. During primary infection in AGMs, alveolar myeloid and T-cells are infected in lungs and during viremia SVV initially infects central memory and subsequently effector memory T-cells. SVV is found in perivascular skin infiltrates composed of macrophages, dendritic cells, and memory T-cells, implicating hematogenous spread. In ganglia, SVV is found primarily in neurons and occasionally in memory T-cells adjacent to neurons suggesting the role of memory T-cells in dissemination. Intrabronchial inoculation of Rhesus macaques (RM) with SVV provides the most useful model to study latency. SVV DNA can be detected in saliva of RM concomitant with viremia. Immunosuppressive treatments of monkeys latently infected with SVV results in zoster. T-cell infiltration in ganglia with reactivated SVV in cynomolgus macaques correlates with expression of CXCL10 transcripts but not with SVV proteins. CD4-T cell depletion of RM latently infected with SVV results in reactivation and virus spread to multiple organs suggesting a critical role of CD4-T cell immunity in controlling latency. SVV infection of nonhuman primates provide a way to dissect, at the molecular level, the cascade of cellular and immune factors during primary infection as well as reactivation. Britt Glaunsinger is a Chancellor Professor in the Departments of Plant and Microbial Biology and Molecular and Cellular Biology at the University of California Berkeley, as well as an Investigator of the Howard Hughes Medical Institute. She received her B.S. degree from the University of Arizona and her Ph.D. from the department of Molecular Virology at Baylor College of Medicine where she worked on mechanisms of cellular transformation by small DNA tumor viruses. It was during her postdoctoral training at the University of California San Francisco that she began to explore how gammaherpesviruses manipulate the cellular gene expression landscape, a topic her group continues to study. Dr. Glaunsinger is the recipient of the Howard Temin Career Development Award, the Burroughs Wellcome Foundation Investigators in the Pathogenesis of Infectious Disease Award, the W.M. Keck Foundation Distinguished Young Scholars Award, the UC Berkeley Prytanean Faculty Award, and the 2018 UC Berkeley Distinguished Faculty Mentor Award for excellence in graduate mentorship. She was also a 2015 Miller Institute Professor and, most recently, was named the UC Berkeley Class of 1963 Endowed Chair. Her lab is broadly interested in RNA-based regulation of gene expression, and well as how gammaherpesviruses interface with and hijack cellular pathways that control RNA synthesis and fate. More information about her research group can be found at http://glaunsingerlab.berkeley.edu. During lytic replication of Kaposi’s sarcoma-associated herpesvirus (KSHV) and other gammaherpesviruses, the gene expression landscape of a cell is remodeled to evade the immune response and create an environment favorable to viral replication. A major driver of these gene expression changes is a virally encoded, messenger RNA (mRNA)-specific endonuclease termed SOX in KSHV. The majority of mRNAs are susceptible to SOX cleavage, but they are cleaved with varying efficiency, and the mechanistic basis underlying this selectivity has remained largely unknown. Using a reconstituted cleavage system, we reveal how specific RNA sequence and structure proximal to the cleavage site direct SOX binding and cleavage efficiency. This provides key insight into sequence specificity underlying targeting of this viral endonuclease. Using tandem mass tag labeling with mass spectrometry, we also show that cytoplasmic mRNA degradation in infected cells that is coordinated by SOX and the host exonuclease Xrn1 causes widespread redistribution of RNA binding proteins between the cytoplasm and the nucleus. RNA decay-driven translocation of select proteins to the nucleus leads to a global repression of RNA polymerase II occupancy on host but not viral promoters. Collectively, our findings reveal surprising interplay between mRNA decay and RNAPII transcription in mammalian cells, which can be actively controlled by gammaherpesviral endonucleases. Nat Moorman has hit the cycle in herpesvirus research. 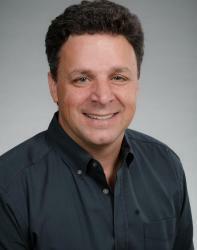 He began career as a research technician studying HSV1 latency with Dr. David Leib at Washington University. He received his PhD in Microbial Pathogenesis under the supervision of Drs. Sam Speck and Skip Virgin at Washington University, where he focused on defining gammaherpesvirus pathogenesis determinants. His postdoctoral studies with Dr. Tom Shenk at Princeton University focused on using proteomics approaches to define novel functions for HCMV proteins. He is currently an Associate Professor of Microbiology & Immunology and a member of the Lineberger Comprehensive Cancer Center at the University of North Carolina at Chapel Hill. The control of mRNA translation has emerged as a critical regulatory step in viral gene expression. Herpesviruses such as human cytomegalovirus (HCMV) must circumvent host defenses that limit translation, while effectively competing with cellular mRNAs for access to host ribosomes. The major goals of our work are to understand how HCMV counteracts host defenses that limit translation, and define factors that facilitate ribosome recruitment to viral mRNAs. Our recent work has uncovered a further level of regulation in the control of viral gene expression, namely the complex interplay between viral transcript diversity and viral protein synthesis. We find that alternative transcription start site (TSS) usage significantly expands viral transcript diversity. In many cases, alternative TSS usage generates viral mRNAs that encode the same viral protein, but differ in their 5’ untranslated regions (5’UTRs). As the 5’UTR regulates mRNA translation efficiency, alternative TSS usage can significantly impact the levels of viral protein expression. Using the HCMV major immediate early transcription unit as an example, we highlight how transcriptional diversity affects translational control, leading to different outcomes of HCMV infection. 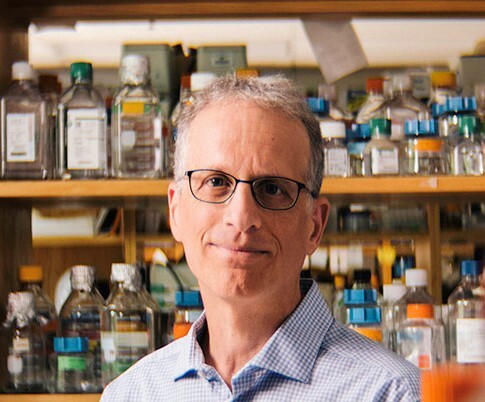 Ian Mohr is a Professor in the Department of Microbiology at New York University School of Medicine, Director of the Microbiology Training Program, and a member of the Perlmutter Cancer Center. Research in the Mohr lab investigates virus-host interactions that regulate virus reproduction. Our primary focus concerns deciphering the molecular mechanisms that control herpes simplex virus latency in neurons and how post-transcriptional control of gene expression regulates virus infection biology. Unlike many viruses that suppress cellular protein synthesis, host mRNA translation and polyribosome formation are stimulated by human cytomegalovirus (HCMV). Using polysome profiling, we previously established that HCMV selectively controls which cellular mRNAs are translated and that the landscape of translationally-regulated host mRNAs regulates HCMV reproduction. Examples from among the more than 1,000 host mRNAs whose translation is stimulated by HCMV infection will be presented to illustrate how select host factors impact HCMV productive replication. David Bloom received a B.S. in Biology from the University of North Carolina at Chapel Hill, before receiving his Ph.D. in Microbiology from Vanderbilt University. Dr. Bloom was a National Multiple Sclerosis Society Postdoctoral Fellow at the University of California, Los Angeles in the laboratory of Dr. Jack Stevens, Ph.D., D.V.M. on the study of herpes simplex virus (HSV) latency and pathogenesis. 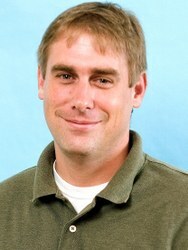 Dr. Bloom joined the Department of Microbiology at Arizona State University in 1996 as an Assistant Professor. In 1999 he moved his lab to the Department of Molecular Genetics & Microbiology at University of Florida College of Medicine, where he is currently a University of Florida Research Foundation Professor. Dr. Blooms research has been funded by the National Institutes of Health, NASA and he was the recipient of the Burroughs Wellcome Fund Pathogenesis of Infectious Diseases Award. 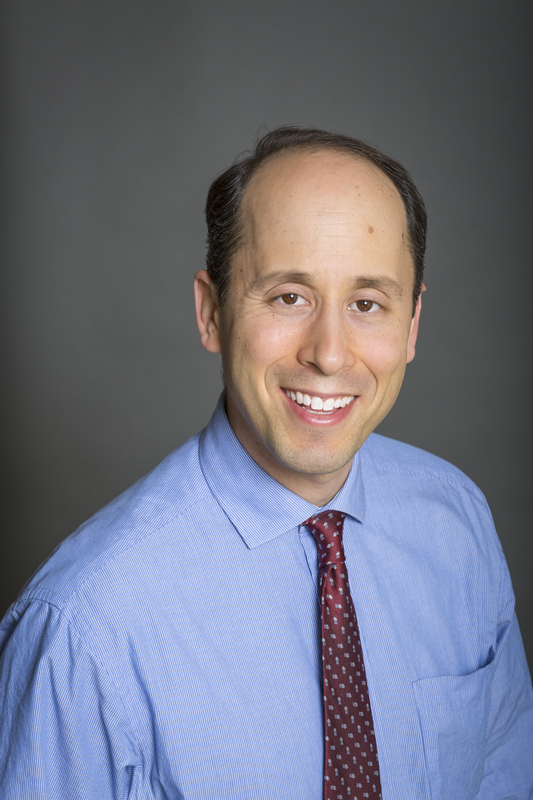 Dr. Blooms current research focuses on the regulation of HSV and reactivation, and specifically the role of neuronal factors and viral non-coding RNAs in the epigenetic regulation of HSV gene expression and reactivation. During HSV-1 latency, lytic gene expression is repressed and abundant RNA expression occurs primarily from the long repeat regions (RLs) of the genome. The HSV-1 LATs, transcribed from the RLs, have long been considered a hallmark or HSV-1 latency, though it has become clear that only a subset of neurons that contain HSV DNA produce detectable LATs. In addition, at least 8 miRNAs, and recently additional lncRNAs, have been mapped to the LAT region. There are a number of biological phenotypes that have been mapped to the LAT region including functions that facilitate the establishment, maintenance and reactivation from latency as well as facilitating neuronal survival and anti-apoptosis. A central difficulty in dissecting the specific genetic functions responsible for these phenotypes is related to the genetic complexity of the RL region and the tendency of deletion mutants to alter multiple genetic elements. In this talk I will describe recent results using ribozymes targeting specific RNAs in vivousing AAV vectors as well as the use of an in vitrohuman neuronal culture system to dissect LAT and miRNA functions and characterize different profiles of lncRNA expression during latency. 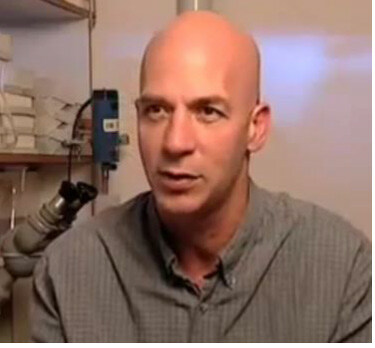 Paul Lieberman obtained a PhD with Gary and Diane Hayward at Johns Hopkins University, School of Medicine studying Epstein-Barr Virus reactivation. 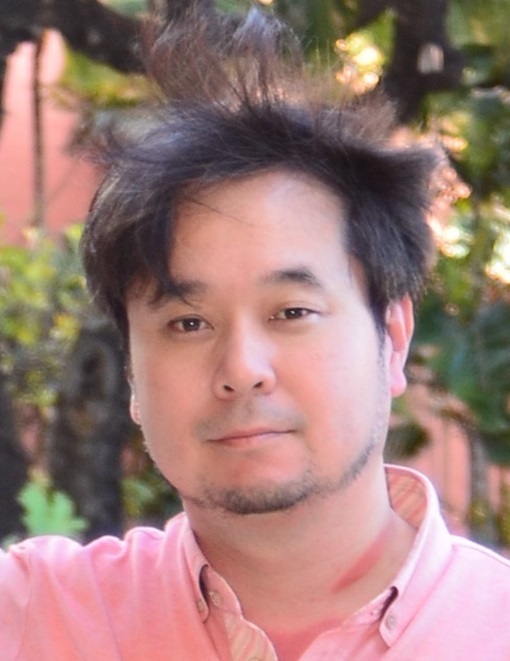 He was a post-doctoral fellow with Arnie Berk at UCLA investigating basic mechanisms of transcriptional activation by viral activators. He spent two years at the Roche Institute of Molecular Biology as an Assistant Member and then joined the Wistar Institute in Philadelphia. 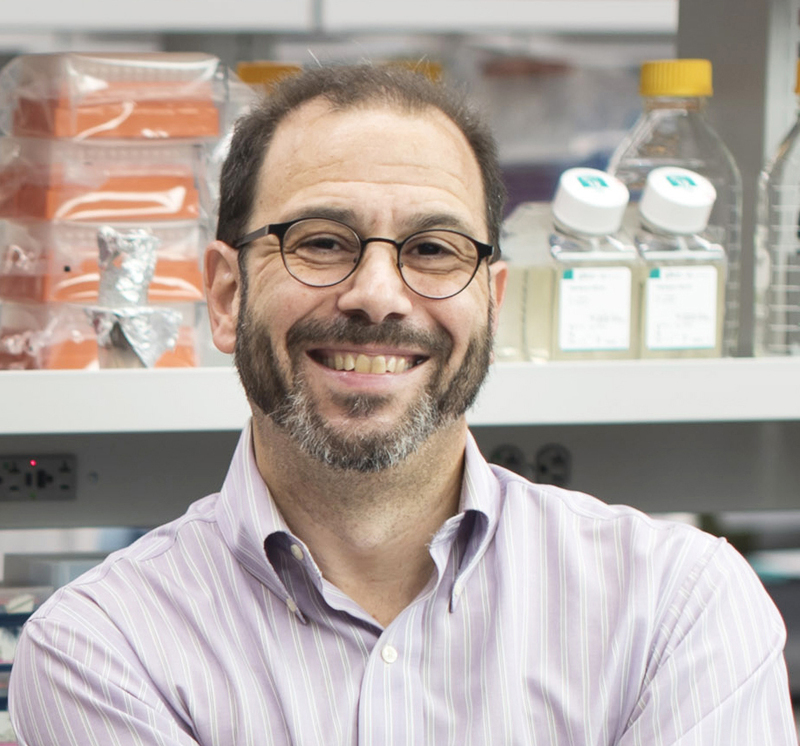 He is presently the Hilary Koprowski Endowed Chair and Program Leader in Gene Expression and Regulation and the Director of the Center for Chemical Biology and Translational Medicine at the Wistar Institute. His research focuses on the molecular biology of Epstein-Barr Virus (EBV) and Kaposis Sarcoma-Associated Herpesvirus (KSHV) latency and reactivation, focusing on epigenetic mechanisms and chromatin biology. He has used biochemical, proteomic, and functional genomic methods to identify regulators of the viral epigenomes that control latent infection. The Lieberman group is also pursuing the development of novel small molecule inhibitors and modulators of EBV and KSHV latency. The human gammaherpesviruses Epstein-Barr Virus (EBV) and Kaposi’s Sacroma-Associated Herpesvirus (KSHV) persist as chromatinized episomes in latently infected cells and viral-associated tumors. Genome persistence is linked to viral gene expression and viral carcinogenesis. EBV and KSHV share similar, but not identical, mechanisms of genome persistence involving viral encoded DNA binding proteins EBNA1 and LANA, respectively. EBNA1 and LANA have similar DNA binding domains (related also to papillomavirus E2) that bind with sequence specificity to a repetitive element in their respective viral genomes. Both viral proteins confer origin of DNA replication activity when tested in plasmid assays and are essential for episome maintenance in the context of the larger viral genomes. Here, we describe recent studies on the mechanisms of EBNA1 and LANA in episome maintenance. We find that EBNA1 binds with sequence specificity to viral, as well as cellular genomic loci. The function of EBNA1 at cellular genomic loci has been investigated. In some locations, EBNA1 regulates cellular gene expression for a small set of genes important for B-cell development, cell survival, and tumorigenesis. Circular chromatin conformation capture (4C) methods suggest that sequence-specific EBNA1 binding sites in the cellular genome are frequent sites for viral episome tethering. In contrast, LANA does not bind with similar sequence specific DNA binding affinity to sites in the host genome, but rather appears to bind chromatin structures. LANA binds with highest affinity at the KSHV terminal repeats (TR). We found that mutations in the LANA oligomerization interface limit the ability of LANA to bind stably to the KSHV TR. These mutations also lead to the loss of KSHV episome maintenance, as well as loss of KSHV genome integrity, with loss of viral DNA at regions distal to the TR. Loss of LANA oligomerization also correlates with the loss of binding by the Origin Recognition Complex (ORC) to the TR. Furthermore, LANA oligomerization is required for higher-order genomic and chromatin structures that can be detected by 3C methods, as well as by confocal life cell microscopy with fluorescent LANA proteins bound to viral episomes. Our findings suggest that LANA must form higher order oligomeric complexes to bind efficiently at the KSHV TR, and this nucleates a genomic architecture enabling stable replication and maintenance of the genome during cellular proliferation. These findings have implications for molecular “phase-change” processes in the regulation of genome maintenance and viral persistence. The ability of human cytomegalovirus (HCMV) to reactivate from latent infection of hematopoietic progenitor cells (HPCs) is intimately linked to cellular differentiation. Although several HCMV genes have been implicated in HCMV latency and reactivation, the mechanisms involved in these events are poorly understood at the molecular level. HCMV encodes UL7 that we have shown is secreted from infected cells and induces angiogenesis. Recently, we found that UL7 is a ligand for Fms-like tyrosine kinase 3 receptor (Flt-3R), a well-known critical factor in HPC differentiation. We observed that UL7 directly binds Flt-3R and induces downstream signaling cascades, including phosphatidylinositol 3-kinase (PI3K)/Akt and mitogen-activated protein kinase (MAPK)/extracellular signal-regulated kinase (ERK) pathways. Importantly, UL7 protein induces differentiation of both CD34+ HPCs and CD14+ monocytes. Lastly, an HCMV mutant lacking UL7 fails to reactivate in CD34+ HPCs in vitro as well as in humanized mice. These observations define the first virally encoded differentiation factor with significant implications not only for HCMV reactivation but also for alteration of the hematopoietic compartment in transplant patients. I have published more than 160 scientific papers. I have collaborations with many scientists all over the world. The NKp46/NCR1 knockout mice that we have generated in the past were sent to more than 50 laboratories around the world and are now deposited in Jackson. I have also generated a large collection of NK cell receptors that are fused to Ig and reporter cells expressing various inhibitory and activating NK cell receptors. These various constructs, reporter cells and proteins were sent to more than 50 different laboratories located around the world. We cloned viral and cellular miRNAs and we have sent these to more than 20 different researchers. Recently we have begun to get requests for obtaining several bacteria we isolated from tumors. I would like to emphasize that I distributing the reagents we have generated without asking for an MTA and I think that in this regard, I contribute quite significantly to the advancement of science. I have also participated in 3 EU consortium grants, in two Marie Curie student network grants, and won an ERC advanced grant. I so far obtained, during my carrier, grants in a total sum of more than 15,000,000 Euro. Herpesviruses establish lifelong infection in their hosts. To attain this goal, they must modulate host immune responses. Of particular importance are natural killer (NK) cells, innate immune effectors capable of sensing and eliminating stressed cells. NK cells constitute the body’s primary line of defence against Herpesviruses. Over the past two decades, diverse mechanisms that inhibit NK cell recognition of herpesvirus-infected cells have been discovered. These include both viral proteins and miRNAs that target multiple points along cellular stress response pathways. These discoveries enable us to better understand the interplay between virus and host. But more than that, they shed light on the evolutionary pressures that shaped human immune ligand repertoires, and uncovered fundamental aspects of tumorigenesis and cell biology. Yasushi Kawaguchi is currently the Vice Dean and Professor at the Institute of Medical Science, the University of Tokyo (IMSUT). He is also the Director and concurrent Professor at the Research Center of Asian Infectious Diseases and concurrent Professor at the International Research Center for Infectious Diseases in IMSUT. He received his PhD degree from the University of Tokyo and completed postdoctoral training at the University of Chicago under the guidance of Dr. Bernard Roizman. His work over 25 years has concentrated on the molecular mechanisms underlying replication and pathogenesis of the herpesviruses. Following primary infection at peripheral mucosal sites, herpes simplex virus (HSV) is transported via innervating sensory neurons to replicate in the sensory ganglia and establishes life-long latency there. The virus then reactivates periodically to cause lesions at or near the primary infection site. This HSV life-cycle, which repeatedly primes the host immune system, increases the potential for a host immune response to eradicate the virus. Therefore, HSV must have evolved multiple mechanisms to evade immune detection and clearance. However, limited information is available regarding HSV immune evasion mechanisms that have been shown to be effective in vivo. In this talk, I will explore and discuss novel mechanisms of HSV-1 immune evasion with respect to inflammasome activation and cytotoxic T lymphocyte infiltration, which we have recently revealed as significant contributors to viral replication and/or pathogenesis in vivo. Laurie T. Krug has a chronic infatuation with herpesviruses. Her research experience began with the roseoloviruses HHV-6B and HHV-7 as a graduate student with Dr. Philip E. Pellett at the Centers for Disease Control and Prevention in Atlanta. 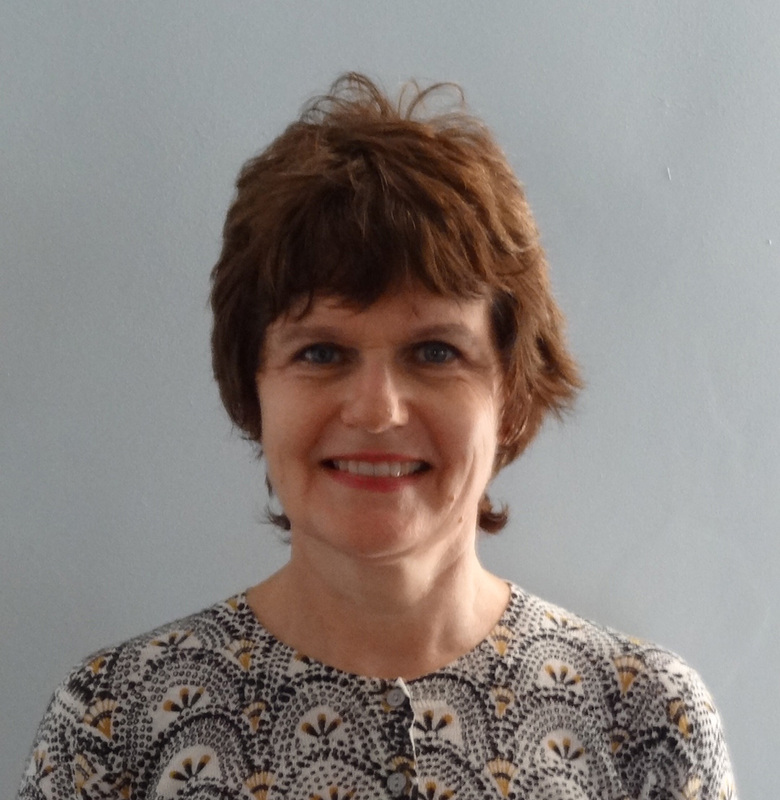 Her post-doctoral research spanned the gammaherpesviruses KSHV with Dr. Margaret K. Offermann and MHV68 with Dr. Samuel H. Speck at Emory University. 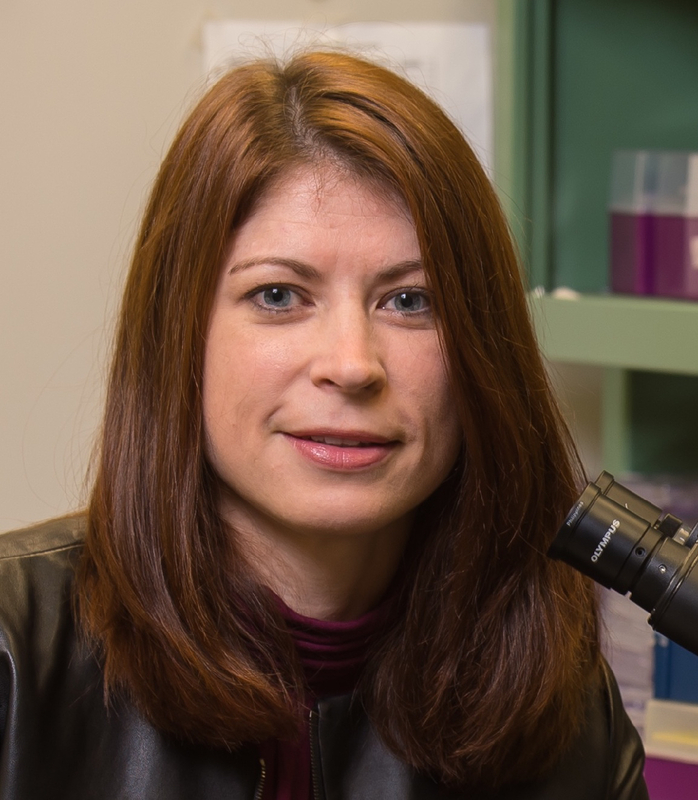 As an Associate Professor in the Department of Molecular Genetics and Microbiology at Stony Brook University, Lauries laboratory employs the mouse gammaherpesvirus MHV68 to identify and investigate virus-host interactions that are critical for chronic gammaherpesvirus infection and pathogenesis in a natural host. Her laboratory has several areas of research: host signaling processes critical for the establishment and maintenance of latency in the animal; viral and host factors that influence viral DNA replication and genome stability; and the role of tegument proteins and PML-NBs in replication and latency. Laurie was awarded a Kirchenstein NRSA post-doctoral fellowship and an American Cancer Society (ACS) Research Scholar Grant. 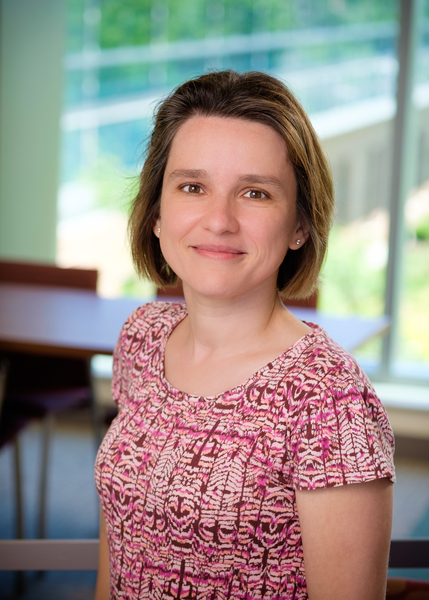 Her research is supported by NIH funding and she currently serves on ACS study sections and the editorial boards of the American Journal of Pathology and Journal of Virology. Misincorporation of uracil or spontaneous cytidine deamination are common mutagenic insults to DNA. Herpesviruses encode a viral uracil DNA glycosylase (vUNG) and a viral dUTPase (vDUT), each with enzymatic and non-enzymatic functions. However, the coordinated roles of these activities in promoting gammaherpesvirus pathogenesis and genomic stability of the virus have not been defined. In addition, the potential compensation by the host UNG has not been examined in vivo. The genetic tractability of the murine gammaherpesvirus 68 (MHV68) pathogen system has enabled us to delineate the contribution of host and viral factors to the prevention of uracilated viral DNA. We find that MHV68 lacking vUNG (ORF46.stop) was not further impaired for replication in the lungs of UNG-/- mice compared to WT mice, indicating the vUNG provides non-overlapping functions from host UNG. Next, we investigated the separate and combinatorial consequences of mutating the catalytic residues of the vUNG (ORF46.CM) and vDUT (ORF54.CM). ORF46.CM was not impaired for replication, while ORF54.CM led to a slight transient defect in lung replication. However, disabling both vUNG and vDUT enzymatic activities had a significant impact on acute expansion in the lungs, followed by impaired establishment of latency in the spleen. Upon serial passage of the double ORF46.CM/ORF54.CM mutant in fibroblasts or the lungs of mice, we noted rapid loss of the non-essential YFP reporter gene from the viral genome, consistent with an increase in recombination. We are currently examining genomic mutations or rearrangements by whole-genome sequencing. Taken together, our data indicate that the vUNG and vDUT coordinate to promote viral genomic stability and enable viral expansion prior to colonization of latent reservoirs. We propose that the vUNG and vDUT are required to prevent mutagenic insults initiated by uracil incorporation. DNA repair of the uracilated viral genome is likely detrimental to herpesvirus fitness in the host. 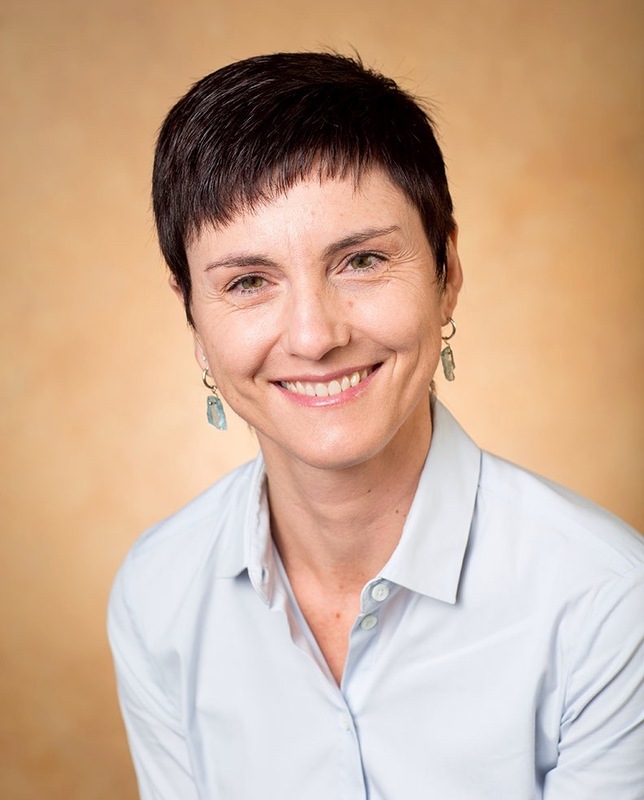 Dr Anna Wald is Professor in the Department of Medicine, Epidemiology and Laboratory Medicine, and Head, Division of Allergy and Infectious Diseases at the University of Washington. She holds a MD from Mount Sinai School of Medicine and MPH from the University of Washington and she completed training in internal medicine at Boston City Hospital and infectious diseases at University of Washington. Her research has focused on the epidemiology and natural history of HSV infections, with an emphasis on genital herpes, as well as development of novel vaccines and therapeutics for viral infections. Developing new antivirals: challenges and opportunities. Herpesvirus infections are ubiquitous in human populations, and relatively few therapeutics have been developed. Initial development of antiviral drugs, in the absence of availability of alternatives, used clinical disease as an endpoint. However, the development of subsequent drugs is more challenging as the comparator is an active drug that prevents most clinical disease. The HIV field has advanced an approach that relies on surrogate marker of plasma HIV RNA for efficacy studies. Herpesvirus drug development is also moving in that direction with the use of molecular detection of viral DNA as an endpoint in early clinical studies. Studies using CMV and HSV drug development will be used as an example. 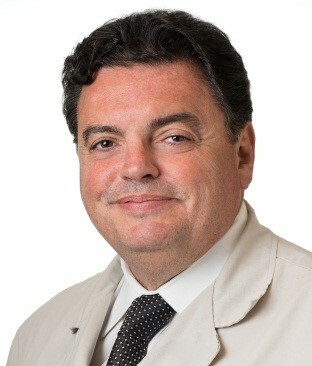 Dr. Michael Abecassis is the J. Roscoe Miller Distinguished Professor, Departments of Surgery and Microbiology/Immunology at Northwestern Universitys Feinberg School of Medicine. He is the Chief of the Division of Transplant Surgery, and the Founding Director of the Comprehensive Transplant Center. Dr. Abecassis is clinically active as a transplant surgeon at one of the largest transplant centers in the US. 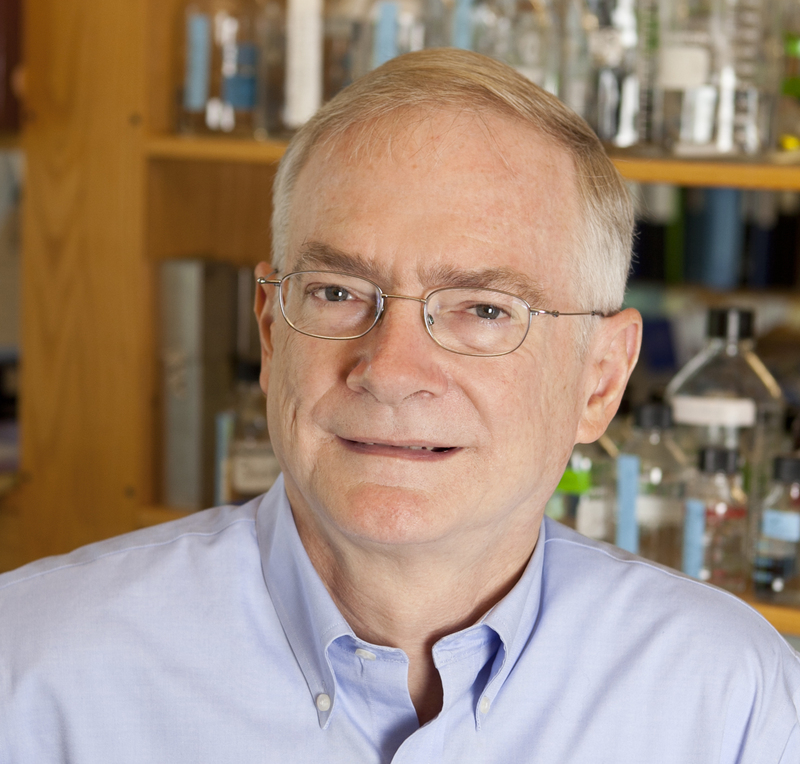 In a long-standing collaboration with Dr. Mary Hummel at Northwestern, he has received continuous funding from the National Institutes of Health for the past 22 years. Together, he and Dr. Hummel study the molecular mechanisms of CMV latency and reactivation with a focus on epigenetic regulation of transcriptional reactivation of viral genes. One of the murine models used by this team for these studies mimics the clinical transplantation of vascularized kidney grafts latently infected that results in reactivation and dissemination of MCMV. During todays talk, Dr. Abecassis will review current best practices in the detection, prevention and treatment of CMV infection in transplant recipients. He will also provide a novel paradigm for CMV reactivation and infection following transplantation based on their ongoing research. Most transplant clinicians view CMV infection as a sign of over-immunosuppression (IS). In order to avoid CMV infection, almost everyone uses anti-viral prophylaxis with Ganciclovir (GCV) varying in length depending on the perceived risk of infection. When CMV infection occurs following transplantation, it is commonly treated using a combination of IS reduction and anti-viral therapy (GCV) varying in length depending on the seveity of the infection. Increasingly, GCV resistance is observed requiring alternative therapies, the most common being Foscarnet. There is still considerable morbidity and mortality associated with CMV infection in transplant recipients, but the true impact of secondary sequelae remains elusive. Prophylaxis is efficacious but not always effective. Pre-emptive therapy is both efficacious and effective but logistically difficult. The speaker will review the various nuances behind the various clinical approaches to both prevention and treatment of CMV in solid organ transplant recipients. In addition, he will provide a novel paradigm for the mechanism of reactivation of CMV from latency and propose an alternative approach to prevention of CMV infection following transplantation based on ongoing research in his laboratory. 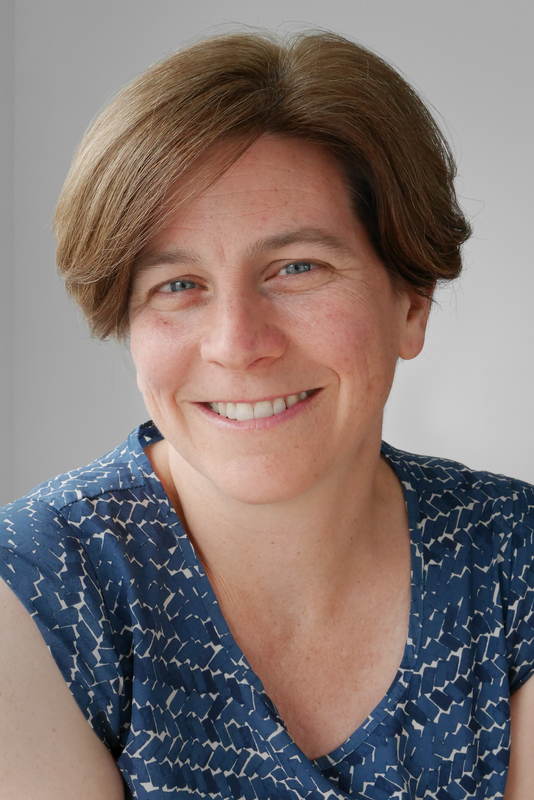 Dr. Christine Johnston is an Associate Professor of Medicine at University of Washington. She is a physician-scientist who is board certified in internal medicine and infectious diseases. Her research is focused on clinical studies of genital herpes simplex virus (HSV) infections, focusing on the intersection between viral pathogenesis and host immune responses, with the ultimate goal of developing successful vaccines to prevent and treat HSV infections. She also leads research to understand the interaction between genital HSV infections and coinfections in the female genital tract, specifically bacterial vaginosis and HIV infection. The field of HSV- 2 genomics is evolving at a rapid pace due to the availability of next generation sequencing (NGS) technologies which provide the ability to sequence full-length and near full-length HSV-2 genomes. Initial NGS strategies relied on cultured virus, but with the use of oligonucleotide enrichment, DNA swabs with low quantities of virus can also be used to generate high quality sequence. HSV-2 genomic sequences have provided insight into the evolutionary origins and geographic variability of the virus, which are critically important questions for HSV-2 vaccine development. HSV-2 has been found to be highly conserved worldwide, with limited genomic distance between strains. Unexpectedly, HSV-1 recombination events in UL29, UL30, and UL39 have been found to be circulating throughout the world, supporting the hypothesis that recombination events that occurred prior to human emigration from Africa. In addition, HSV-2 sequencing approaches have allowed for development of genotyping assays based on population prevalent single nucleotide polymorphisms. Such assays have provided robust estimation of the prevalence of HSV-2 dual-strain infection, another important parameter for HSV-2 vaccine development. Dual-strain infection is estimated to occur rarely, but is associated with HIV infection. Initial studies of HSV-2 evolution within host over time show a small number of SNPs between primary and recurrent infection, suggesting that HSV-2 slowly evolves within a host. These recent studies will be discussed in the context of HSV-2 pathogenesis, and outstanding questions that can be addressed by leveraging HSV-2 genomic studies will explored. Thomas Shenk is the James A. Elkins Professor of Life Science at Princeton University. He currently studies the interaction of human cytomegalovirus with it host cells. Shenk co-founded and served as chairman of Princeton Universitys Department of Molecular Biology, and he also served as a founding co-director of Princetons Program in Global Health and Health Policy. He is a past president of the American Society for Virology and the American Society for Microbiology, and counts among his honors membership in the U.S. National Academy of Sciences. Cytomegalovirus nucleic acids and proteins have been found in numerous tumor types, and the virus manipulates the activity of multiple tumor suppressors and proto-oncogenes. I plan to discuss aspects of the case for cytomegalovirus oncomodulation.